Welcome back to the That’s Biz blog! 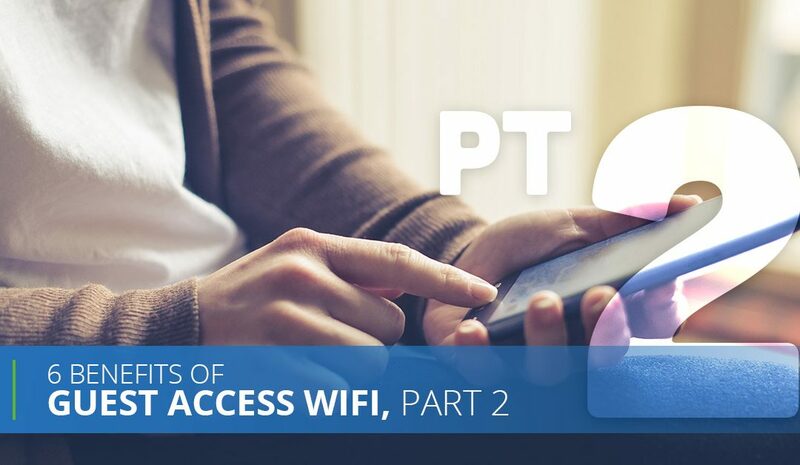 A couple weeks ago, we discussed three benefits of guest access WiFi and how it pertains to advertising for restaurants. In today’s blog, we are going to finish up the series by discussing what we see to be the final three benefits — though we’re sure the benefits really are endless. If you are interested in WiFi solutions for your restaurant or need help with advertising for restaurants, you can count on That’s Biz. Contact us today to get started. Effective advertising starts with knowing your target demographic — and by having your customers use your restaurant WiFi, you will get to know them better than ever. All of a sudden, your restaurant email marketing, text message marketing, and restaurant marketing strategies overall will be more comprehensive and specialized to your target. With WiFi solutions from That’s Biz, you can increase your customer database, while also viewing guest profiles, tracking and recording traffic patterns and customer loyalty. You’ll have the power to gather customer demographics that will personalize your marketing campaigns — and it all starts with providing a service your customers already expect: restaurant WiFi. As a restaurant owner in the 21st century, there is one thing we know has been drilled into your marketing strategy over and over again: social media. Increasing your social following is easier said than done at times, but providing guest access WiFi is an easy way to make it happen. You can increase engagement, for example, by using a prompt at login for your customers to either like your page or check-in with their social media profile. On top of this, you can also send personalized social messages that will make your customers more likely to interact with your online presence. With so many different restaurants and dining options out there, you need your brand to be recognizable, and WiFi solutions can help make that a reality. Think of a popular restaurant or store in your community, and you most likely can visualize their colors or logo; we want the same to be said of your business. With guest access WiFi from That’s Biz, you can personalize the login page and landing pages with your brand’s images, aesthetic, and branded messaging. All of this leads to greater brand recognition — and more repeat customers visiting your restaurant. Whether you need restaurant promotion ideas, help with restaurant marketing, or are just getting started with advertising for restaurants, That’s Biz is for you. In addition to all this, we’re pleased to provide restaurants with WiFi solutions that will work just as hard for your business as you do. Your customers want guest access WiFi in your establishment anyway — so why not make it work for your marketing campaigns while you’re at it? Work with That’s Biz today to get started with advertising for restaurants, WiFi solutions, and more.